It appears that Mitt Romney believes he has binders full of chances to hold the most powerful office in the United States. According to The Wall Street Journal, the twice-failed presidential nominee and former Massachusetts Gov. told a group of Republican donors in Manhattan that he, Mitt Romney, is considering running for president once again. "Mitt told the group of 30 or so guys that were there that he is considering a run for the White House and that they could go tell their friends," a source told CNN. Rumors have been swirling for a while now, with Utah’s Republican Rep. Jason Chaffetz telling MSNBC back in July of 2014 that Romney would likely run again in 2016. Romney has stayed quiet on a third run for the past year. "One of the first things he said he said was, 'People ask me, do you want to be president? Well, yes, I did run twice,'" CNN's source continued. Romney is best remembered for his gaffe-fueled 2012 run, including for referencing his “binders full of women” supporters and insulting 47 percent of the American public. The news comes on the heels of former Florida Gov. Jeb Bush announcing he is considering a run and former Republican presidential hopeful Mike Huckabee quitting his FOX News television show to explore his options. CNN also reported that Wisconsin Gov. Scott Walker — who faced a recall election in 2012 — is building a team for a possible run. In all, there are around 18 names being floated as possible Republican presidential candidates, according to The Washington Post, although a number closer to five candidates is more likely. While there's no word on who will run on the Democratic ticket, 200,000 people have reportedly signed a petition urging Massachusetts Sen. and liberal darling Elizabeth Warren to run. Still, former Secretary of State Hillary Clinton is the favorite and likely contender, despite a decrease in popularity in a recent NBC News/Wall Street Journal poll. While Romney did not give a timetable for when he would make an official statement, according to The Wall Street Journal, he cited troubles overseas and the long-term health of the economy as factors in his decision. WSJ also reports that top Republican donors are waiting on Romney's decision before they decide who to back. Bush's announcement of his consideration to run was done in part to push donors to support him instead of waiting for Romney to make a decision, Politico reports. He has already set up a leadership PAC named “The Right to Rise,” to secure donations (a super PAC by the same name has also been set up to support his run). While both Romney and Bush occupy a more center-right position on many issues than other GOP contenders, Romney would probably enjoy more support from top GOP donors. 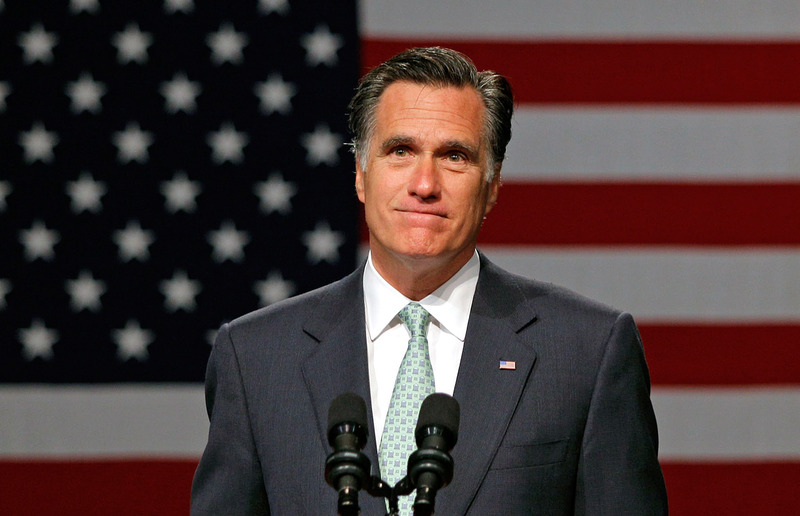 So, will the third time be the charm for Mitt Romney?